Last week I decided to treat myself. 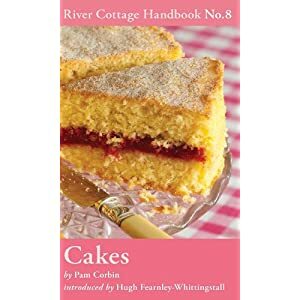 I'd seen the most recent River Cottage handbook in Waterstones, and despite owning some great baking books already (my favourite being this one), this one had some new recipes I've not seen before, so I went for it. 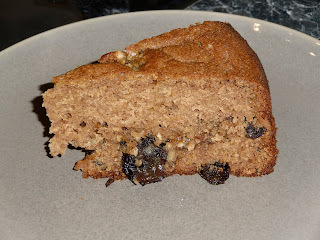 I asked Sam to pick a recipe to try first, and after first going for Coffee and Walnut Cake, and then Toffee Apple Cake he finally settled on the Somerset Cider Cake. I used Sheppeys Dabinett cider, a medium sparkling cider. The cake is made with the cider, cider-soaked raisins, and a mixture of wholewheat and plain flour. 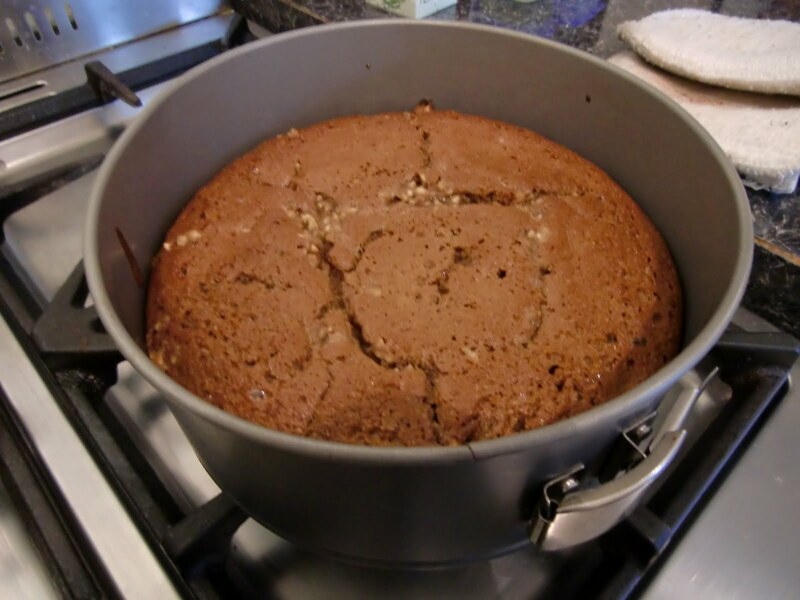 It has a sweet hazelnut topping, which sadly sank into the middle of the cake when cooking - I'm not sure what went wrong here, but the cake mix was wetter than I'd expected so maybe I accidentally added too much cider. It smelt great whilst cooking, and was very tasty, although I'm not sure whether I got much of a cider flavour from it. I'd been dubious about the hazelnut topping thinking it was too much extra sugar, but as the cake isn't that sweet the hazelnut topping gave it a much deeper flavour, without being overly sugary. Update: 6 days later and the cake still tastes great, and has kept incredibly well in terms of freshness.